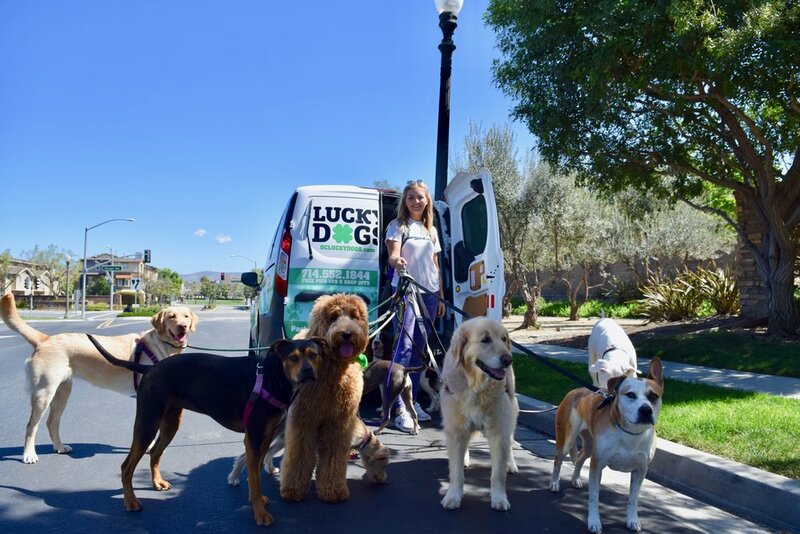 Welcome to OC Lucky Dogs! 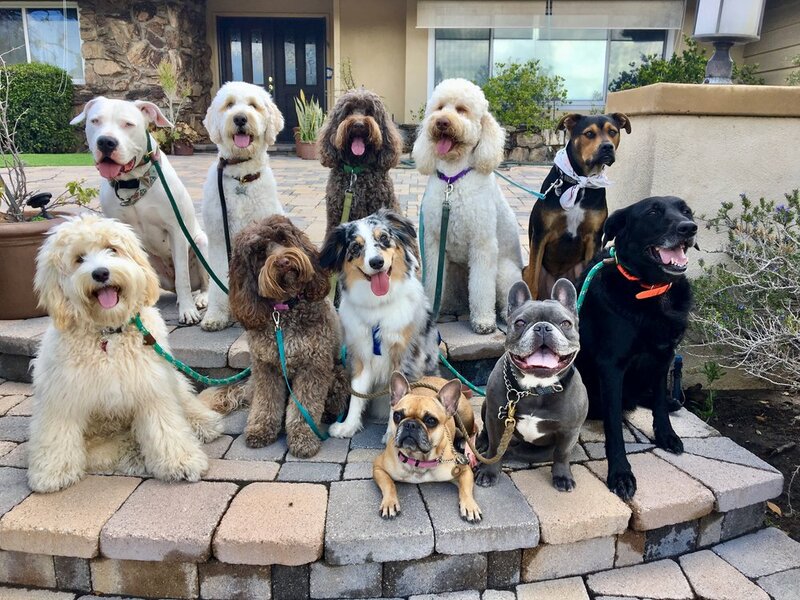 We are a dog daycare, walking and training program that services Tustin and surrounding areas reaching to Orange, Santa Ana and Orange Park Acres. We offer free pickup and drop off. A day out with one of our handlers provides your pup exercise, training and socialization all wrapped into one outdoor adventure. The combination of a structured packwalk and positive reinforcement will help your dog to form positive associations with canines, humans and other stimulus they may have previously found unsettling. You can rest assured knowing your dog will come home tired, happy and more well-mannered! We know you have many options for doggy daycare, but that none can match Lucky Dog’s perfectly tailored approach.